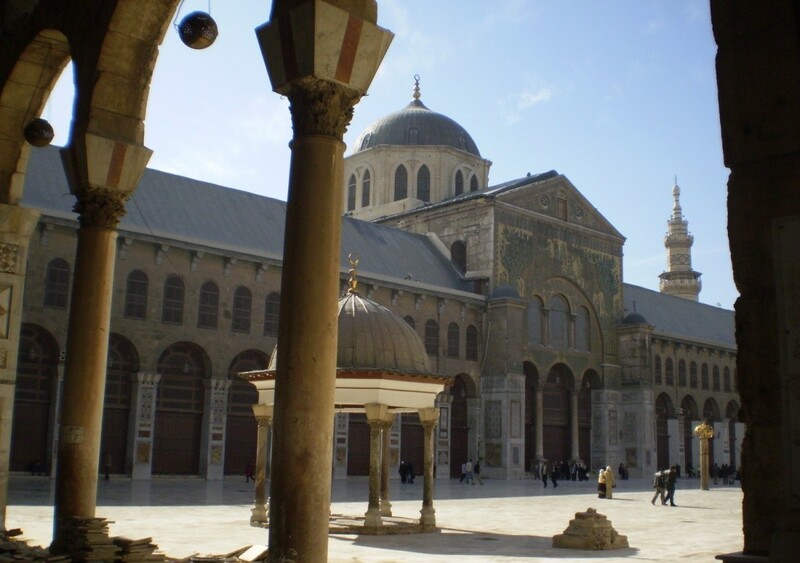 The mosque of the Prophet (pbuh) played the role of the seat of the first Islamic government. In the mosque, the Prophet (pbuh) used to spend long hours on a daily basis discussing, deciding and executing many affairs related to administering the state. Jihad (striving in the way of Allah) and state defense strategies were also initiated and concluded in the realm of the mosque. When returning from a journey, the Prophet (pbuh) used to go to his mosque first. There he would perform a short prayer of two units (rak’ah). Then, he would sit in the mosque and attend to the people and their needs. One may wonder what roles and functions the mosque assumed subsequent to the institutional decentralization in the Islamic society, which, after all, was unavoidable. The truth is that the mosque continued to play the role of a community center, but some of its roles and functions had to be modified, adjusted and even scaled down, some roles and functions being more affected by this modus operandi and others less. Nonetheless, all this was deemed natural and ordinary, as well as intrinsic to the dynamic evolution of Islamic culture and civilization, in general, and the mosque phenomenon as a nerve center of the former, in particular. Nobody is known to have objected to this inevitable process which was unfolding merely according to the encoded laws and norms of the development of human society, to which the Muslim society was not an exception. People knew very well that they first, and then the mosque institution (the epitome of Islam and its struggle), stood at the heart of the process, influencing it and also being influenced by it. People knew, furthermore, that the whole course of the evolution of Islamic society and its institutions was about them and their own holistic transformations and progression. The institutions were there just to accommodate, facilitate and further stimulate the growth and fruition of people and their cultural and civilizational agendas and undertakings. In other words, the Islamic institutions, as both concepts and sensory realities, signified the means, while the total wellbeing of Muslims and the realization of their life mission signified the ultimate goal towards which every Muslim initiative and endeavor, both individual and collective, was directed. The only critical issue that was preoccupying the Muslim mind, firstly during the process of the institutionalization of the mosque’s diverse roles and functions, and then during the process of the partial institutional decentralization, was how best to oversee and regulate the ongoing social processes and how best to harmonize between the “mother” mosque institution and the other outgoing social, educational and religious institutions which originated from the former. This was so because the inevitable ongoing processes were intended to be dealt with sensitively and to be put in people’s good stead. They were meant to be cultivated into a great societal advantage and an asset, rather than their prospects and challenges to be taken lightly, or to be mismanaged, and to thus evolve into a societal hazard and liability. And finally, they were meant to be a source of Muslims’ strengths and not a source of their weaknesses. Apart from rapid urbanization in Islamic cities, the creation and full institutionalization of independent madrasahs (schools or colleges) in the 5th AH / 11th AC century expedited greatly the physical decentralization of the mosque institution and other social institutions. This is so because the world of scientific and empirical knowledge, in which the Muslims by then were assuming a global dominant role, was becoming more and more sophisticated, specialized and demanding. This called not only for the creation of independent and specialized madrasahs, but also for the creation of several other often autonomous educational institutions, both private and public, such as observatories, libraries, laboratories, “houses of wisdom”, bookshops, etc, so that the scientific tasks and challenges could be duly met. There were other less relevant, and rather supporting, institutions, too. This paper presents scenic beauty assessment of highland environment, in which the study area was Cameron Highlands, Malaysia. There were two methods used in the assessment; photographic questionnaire survey and semi structured interview. Both methods were designed to assess public scenic preferences and the impacts of Highland Management Practices (HMPs) on scenic preferences. Coloured photograph was the survey instrument used to assess the scenic preferences. Madinah is a vast oasis surrounded from each side by mountains kept apart irregularly by narrow valleys and exposed open terrain. Thus, due to the city geography that offered a great degree of natural protection against a sudden and large-scale invasion, there was no need for an immediate or forthcoming walling up of the city. The city got its first walls during the reign of the Abbasid caliph al-Ta’i’ Lillah b. al-Muti’, somewhere after the year 363 AH / 973 CE. The existence of many fortresses, as well as the overall organization of spaces and the compactness of neighborhoods, additionally aided the cause of the city defense. The study aims to find the effects of land management on the intensity of the urban heat island through a case study done on the city of Kuala Lumpur, Malaysia. Two methodologies combined to study the urban heat island of the city; Weather Station Networks Method and Traverses Survey Method in December 2004. The study used the Geographic Information System (GIS) technology to establish the colored contour maps of the urban heat island of the city. The study shows that, there is an increase in the intensity of the urban heat island of the city of Kuala Lumpur since last similar studies done in 1985. The main objectives of this research are 1) to develop a spatial and environmental database by collecting and generating several related digital data and set up an environment for data management and analysis in combination with GIS and numerical simulation software. 2) To investigate objective knowledge of relationship between urban structure and ambient microclimate in new housing area in tropic country. As a result, it became clear that usability of developed spatial database and analysis environmental for a process which contains data modeling, management and visualization through the qualitative and quantitative consideration of numerical simulation effectively, and several new fundamental findings of relationship between deference of building type, open-space, and block density and ambient physical environment objectively.